Me-wow! Sideshow is proud to present the Clawsplay Fine Art Print by renowned pin-up artist Olivia De Berardinis. The Clawsplay Fine Art Print captures Michelle Pfeiffer’s sultry and sensational performance as the feline femme fatale Catwoman in Tim Burton’s Batman Returns. Wearing her iconic catsuit, Selina Kyle gives herself a quick cleaning after a busy day of getting the better of Batman, enticing the viewer with her antagonistic allure. 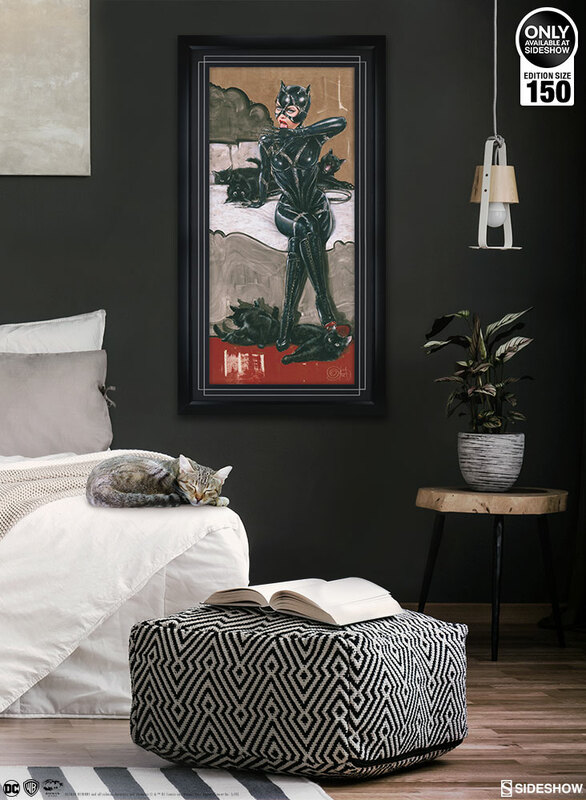 She is surrounded by a gathering of black cats, each with its own distinct character as these fine felines recline on a luxurious bed. 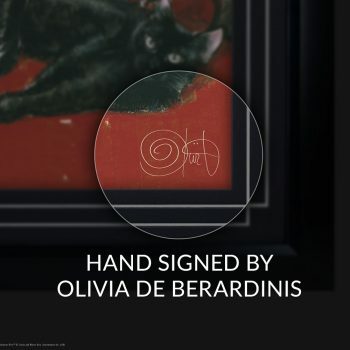 Olivia’s original acrylic-on-wood painting is faithfully reproduced here as a fine art collectible, purr-fectly preserving the incredible detail and brushstrokes of the artist’s signature style. 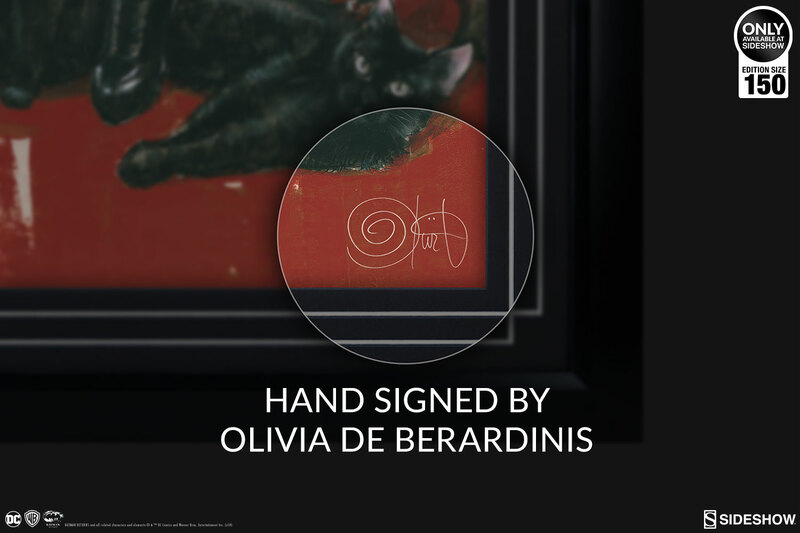 Each print in the highly-limited edition of 150 pieces is hand-signed by Olivia herself, and accompanied by a Certificate of Authenticity. 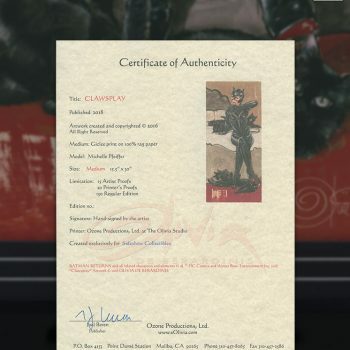 Don’t miss your chance to get your paws on the Clawsplay Fine Art Print by Olivia, a must-have fine art Batman collectible for fans of this catty Gotham rogue. 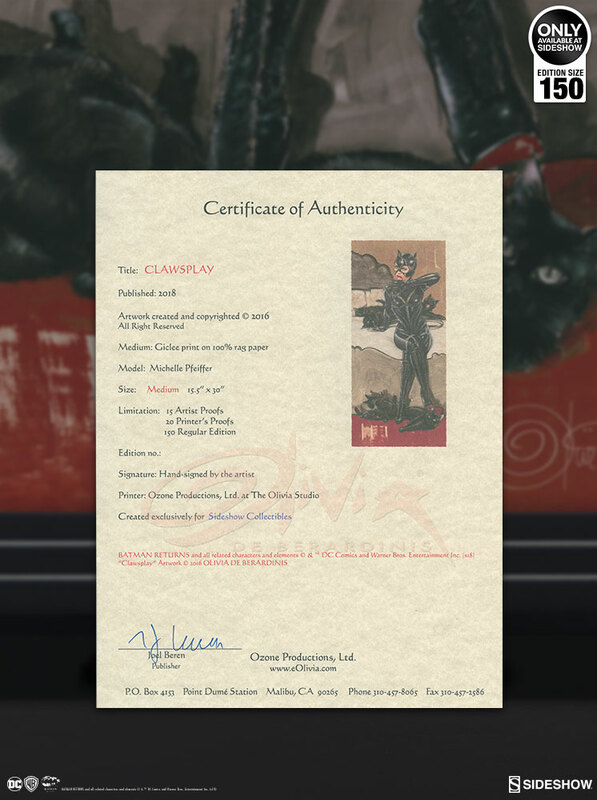 Pre-orders for the framed edition of the Clawsplay Fine Art Print will begin on Friday, September 14th between 12pm-3pm PST, and will be priced at $425 USD. If supplies are available, unframed prints will be available beginning Monday, September 17th between 12pm-3pm PST, priced at $200 USD. Framing Note: If the framed option is chosen, your order will be specially framed for you. Please allow additional time to frame and ship your order.